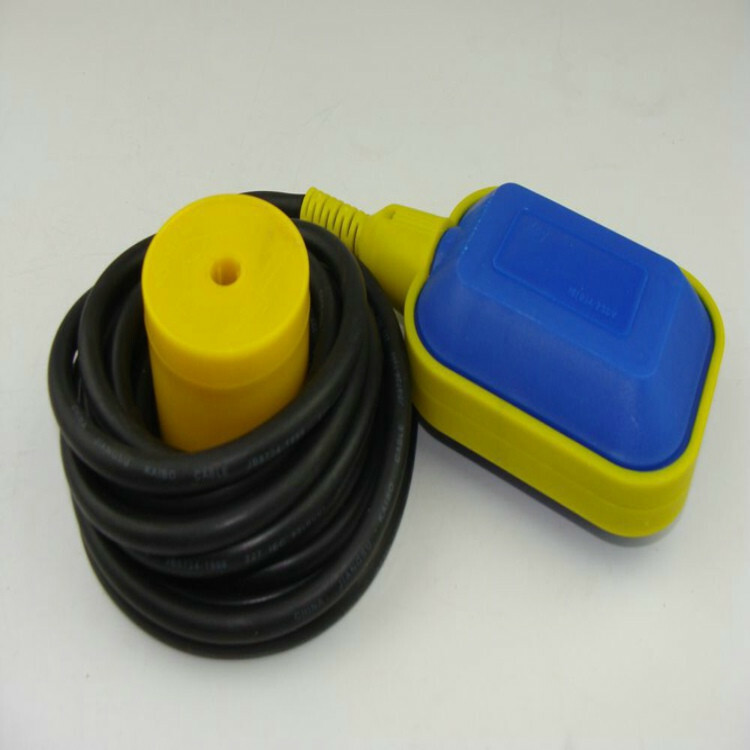 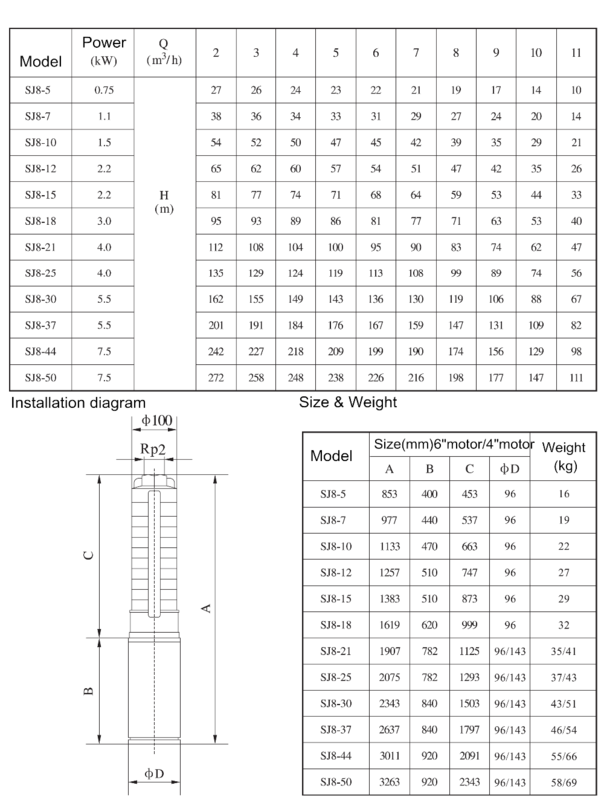 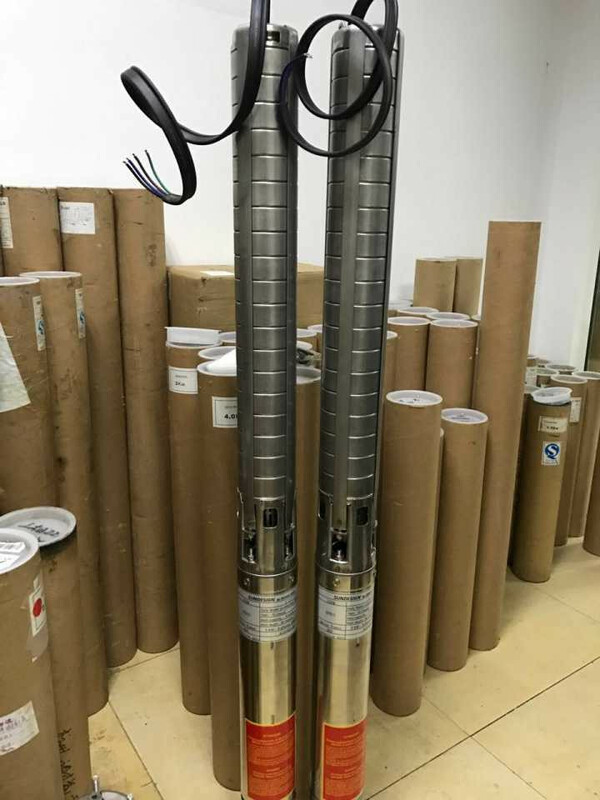 Based on your requirments of head lift and flow rate to choose suitable solar submersible water pump. 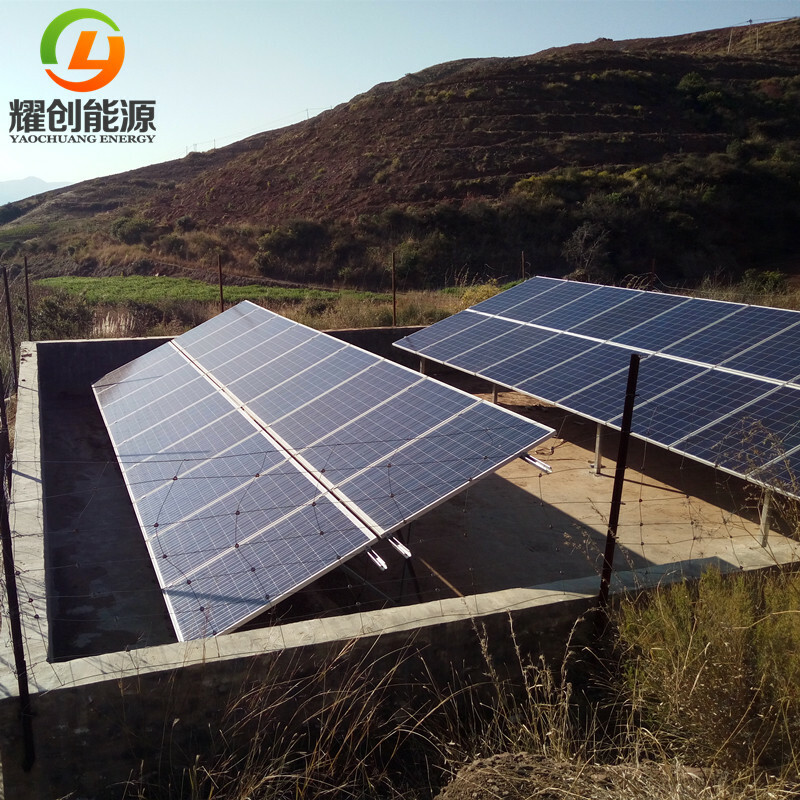 Yaochuang Energy is a professional solar water pump system and solar off/on grid system integrator and solution provider. 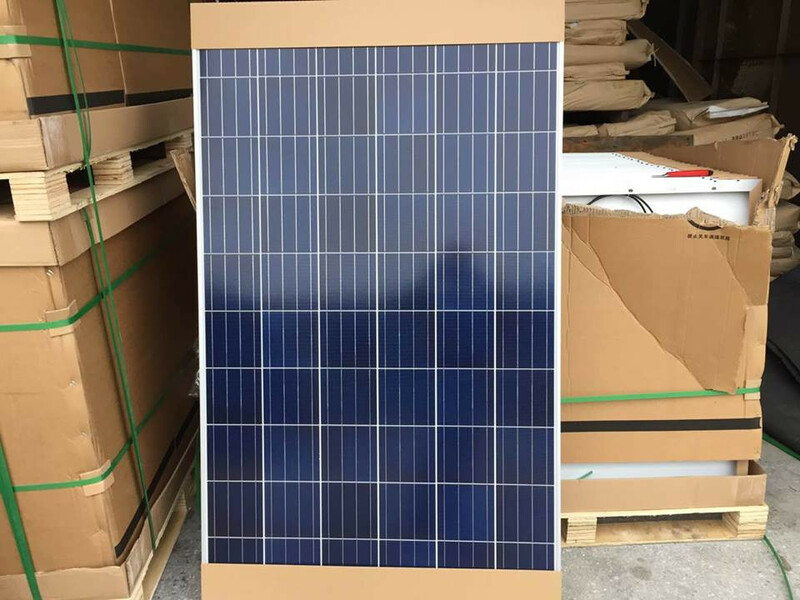 Our factory supplys high quality solar panels A grade and Mppt inverter with CE TUV ROHS certificates. 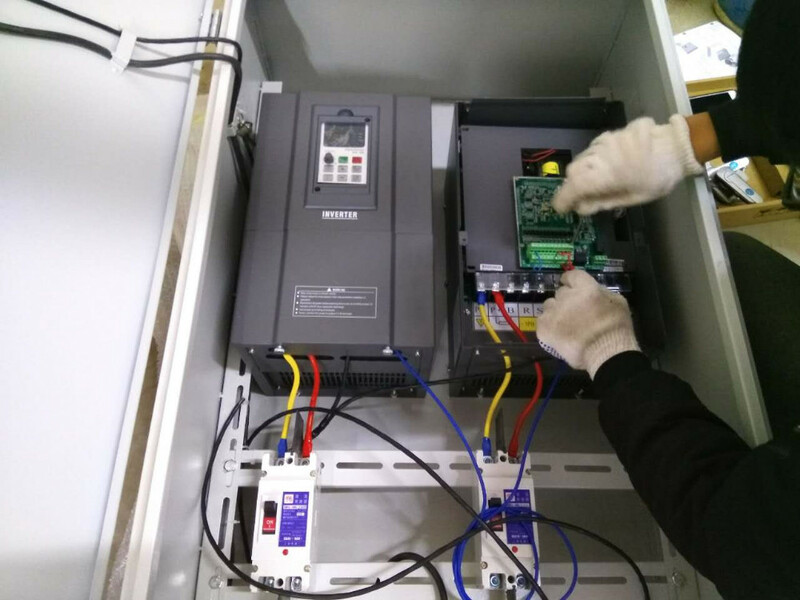 Our systems have been exported to Africa, Middle East, South East Asia, Canada, Austalia, South America, and there are many goodfeedback about our systems. Our solar water pump can reach 500 Meters head lift and 500m3 water per hour. 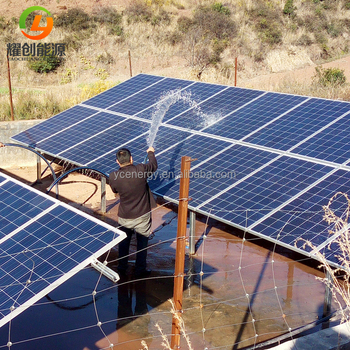 1.What is solar pumping system? 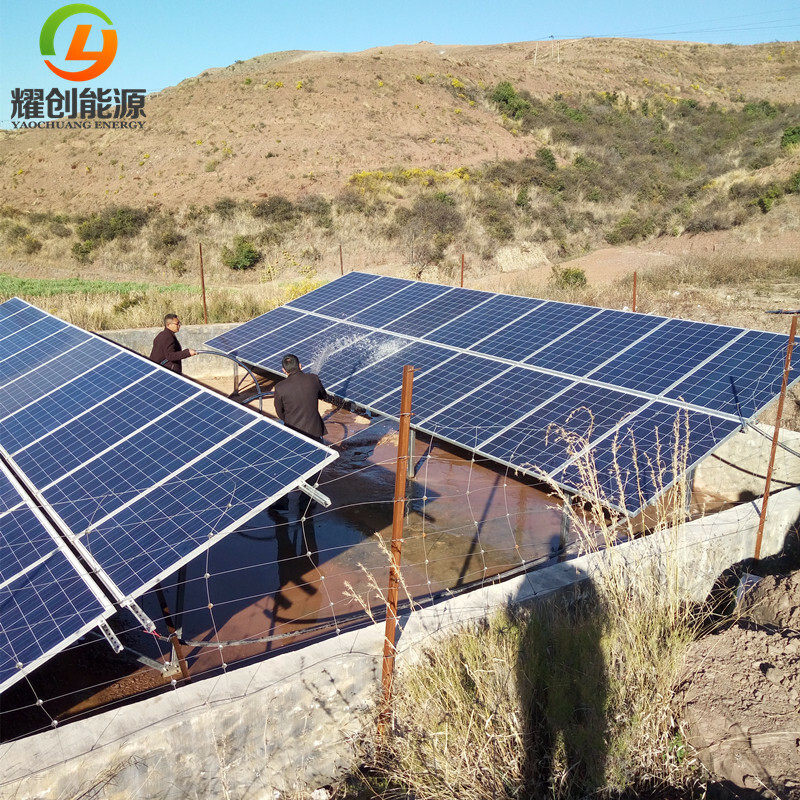 The solar pumping system is widely used for sea water desalination system, desert controlling, daily life water supplying, agricultural irrigation, forest irrigation, waterscape, and water treatment project. 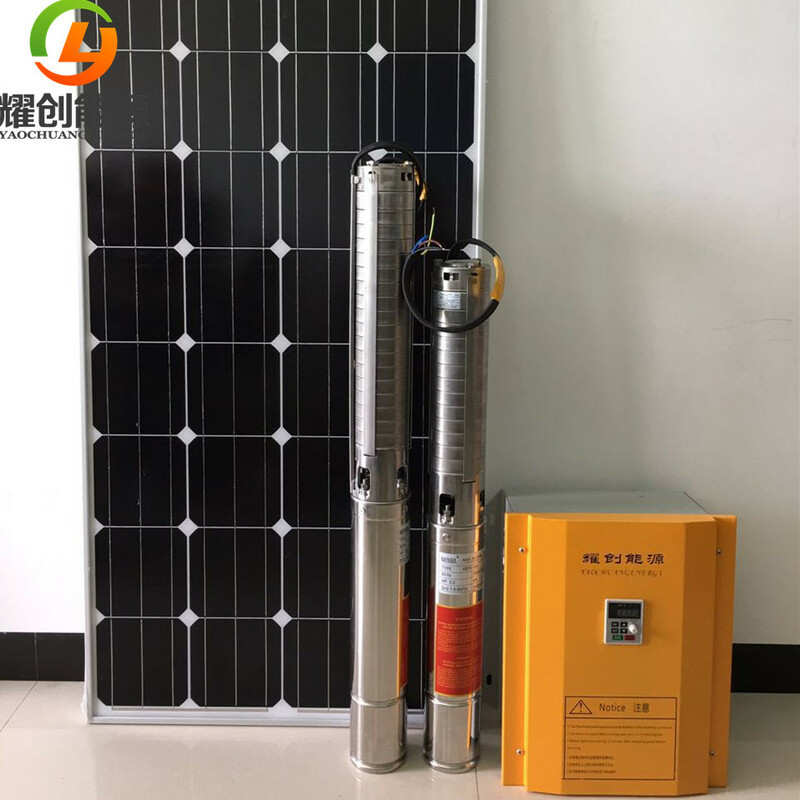 The YCsolar solar pumping system is dispensed with battery and that enhance the reliability of the system and reduce the bill invest. 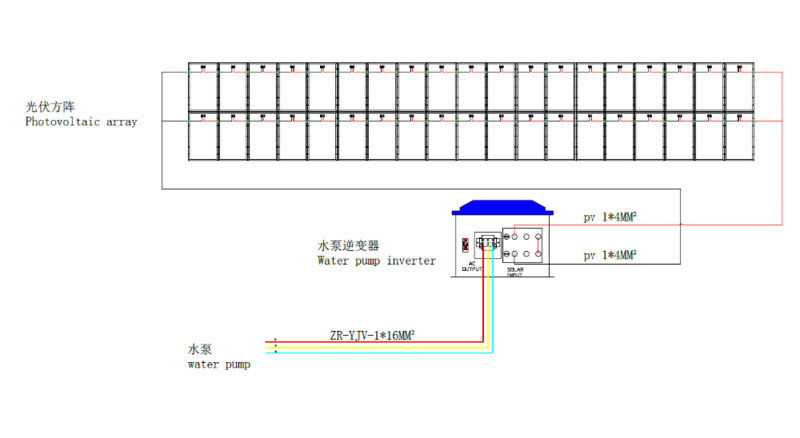 2.Why cubic meters/day not cubic meters/hour for measuring the solar pumping system? 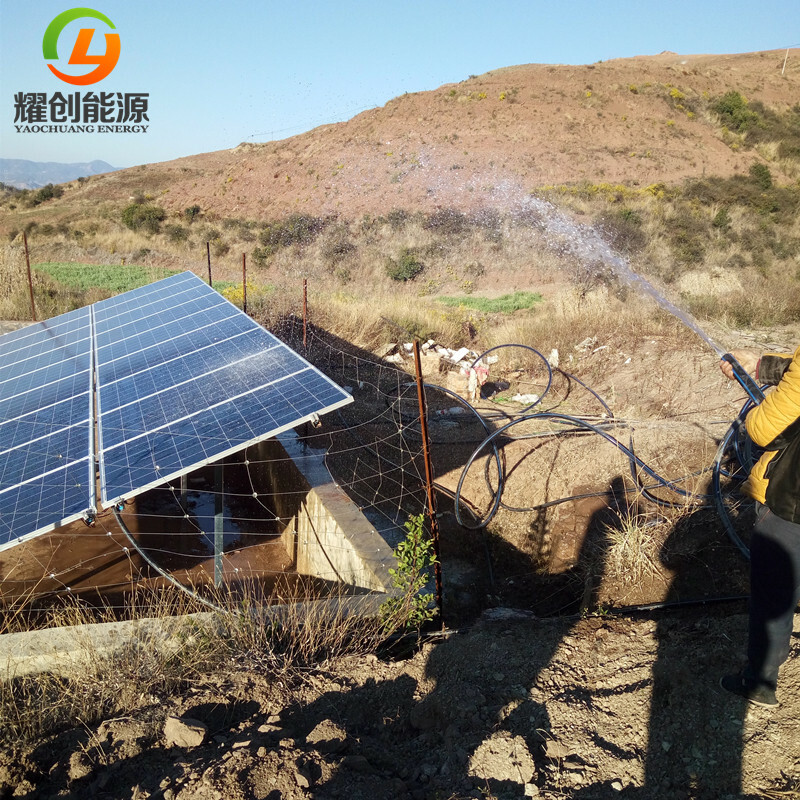 The YCsolar solar pumping dedicated inverter is adopted to achieve MPPT (Maximum Power Point Tracking) to regulate the speed of the pump, and the water output changes while the sunshine radiation changes, so, cubic meters/day is the only standard measurement of the water output of a solar pumping system. 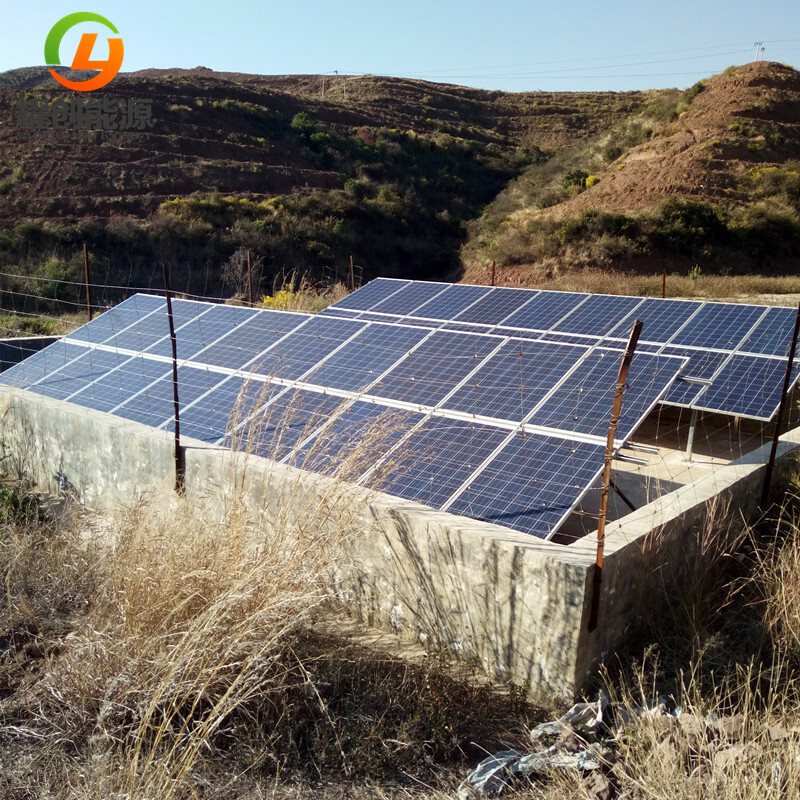 3.How long will the photovoltaic system serve?